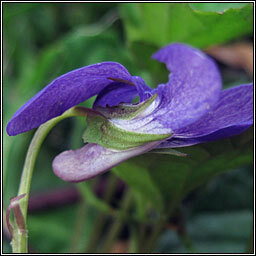 Scentless violet-blue flowers with branched purple veins on lower petals and a notched, pale violet or whitish spur. Followed by 3-angled, 3-seeded fruit. Flowers on leafy shoots rising from a central leaf-rosette. Leaves are long-stalked, cordate (heart-shaped) with toothed stipules. 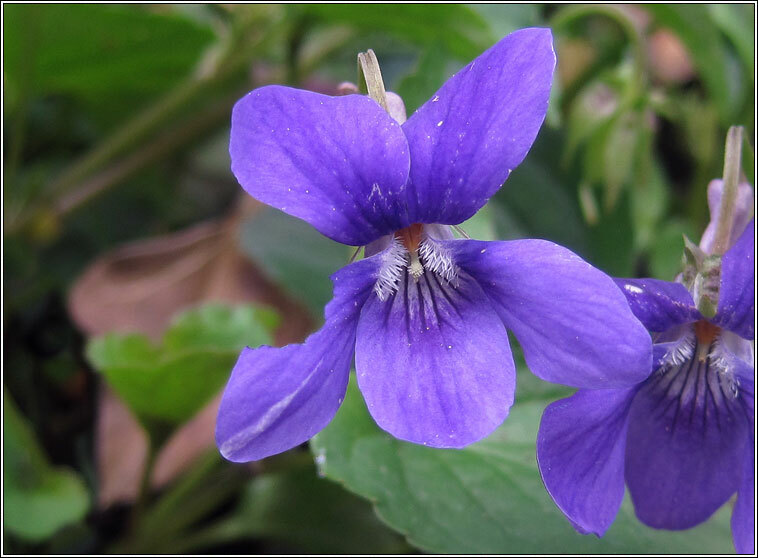 Frequently hybridises with other violet species. 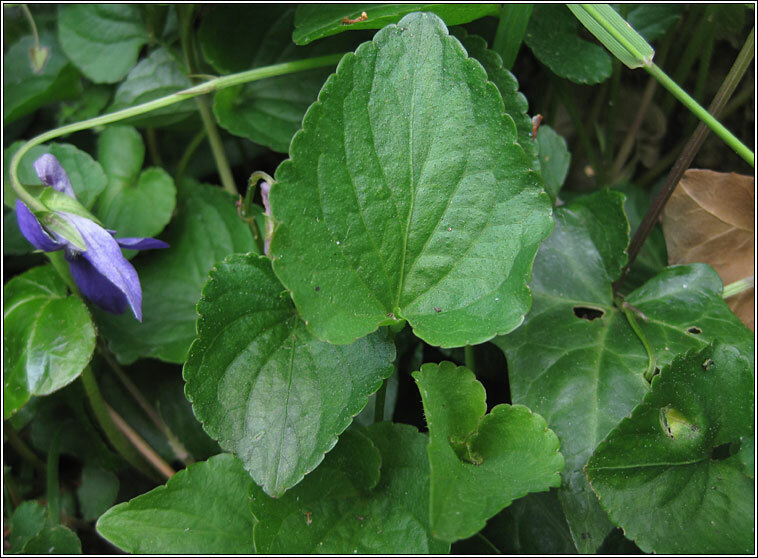 Viola riviniana var.nemorosa has a dark-violet spur.